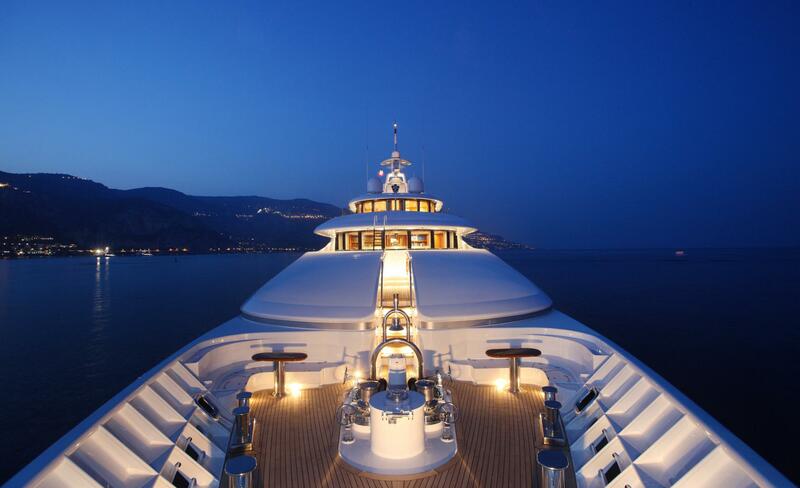 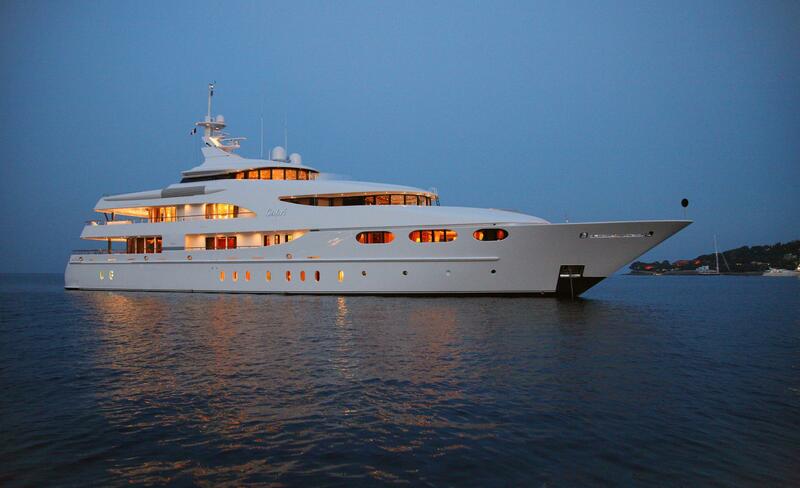 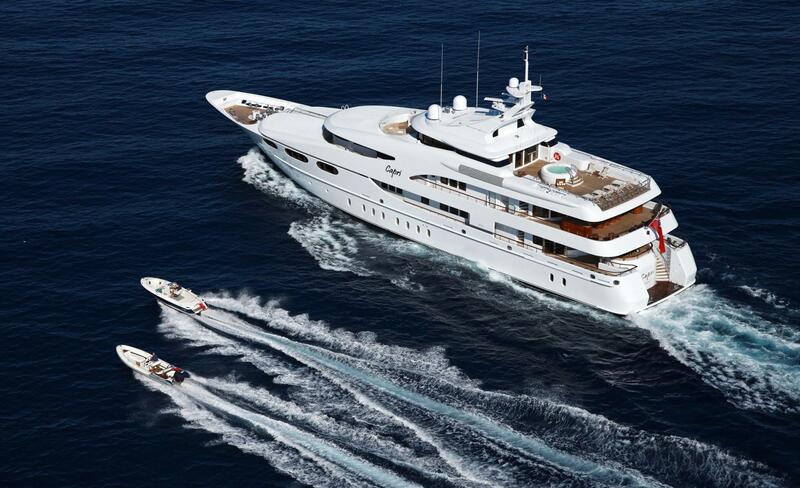 Motor yacht CAPRI is a 58.52m (192’) Lurssen superyacht which is available for luxury yachts charters. 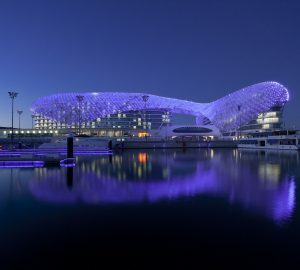 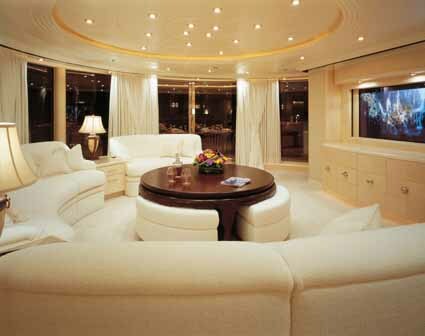 The interior designing was created by Glade Johnson Design. 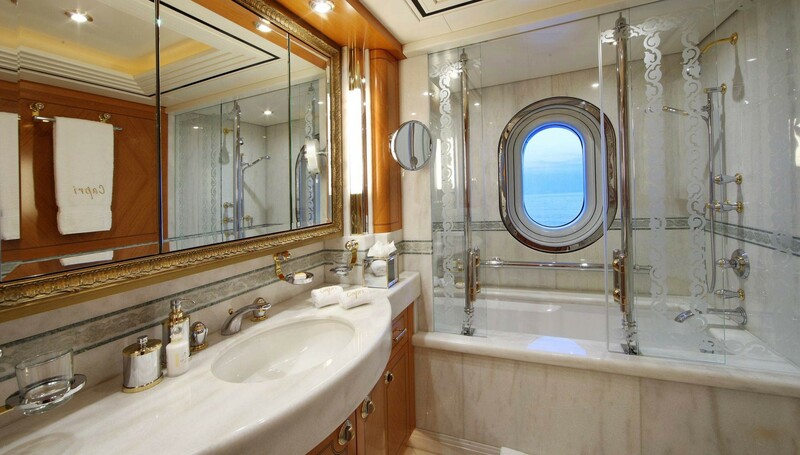 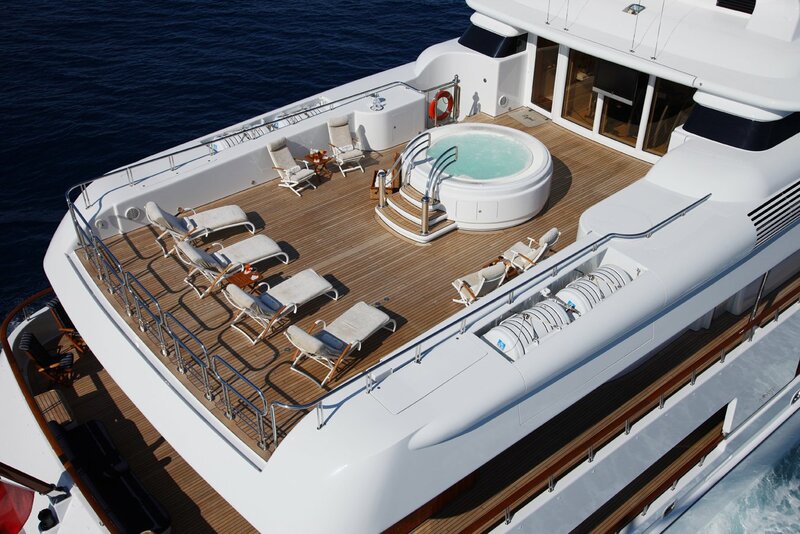 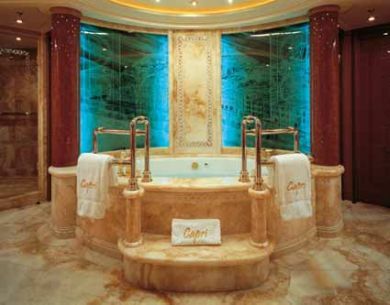 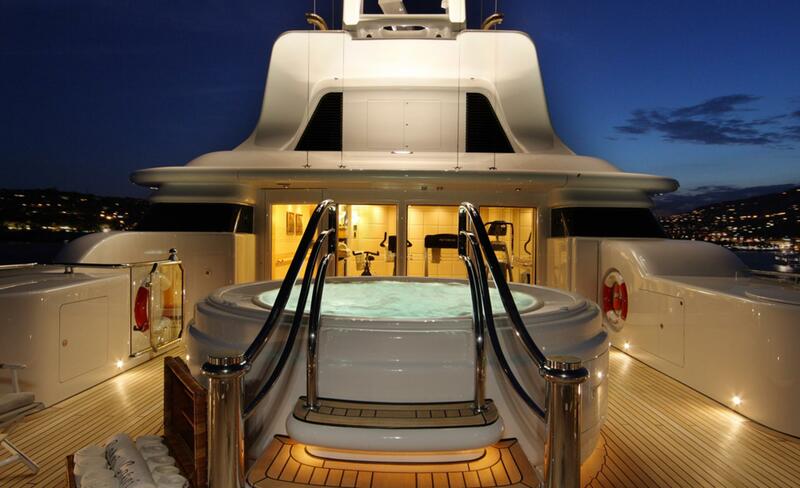 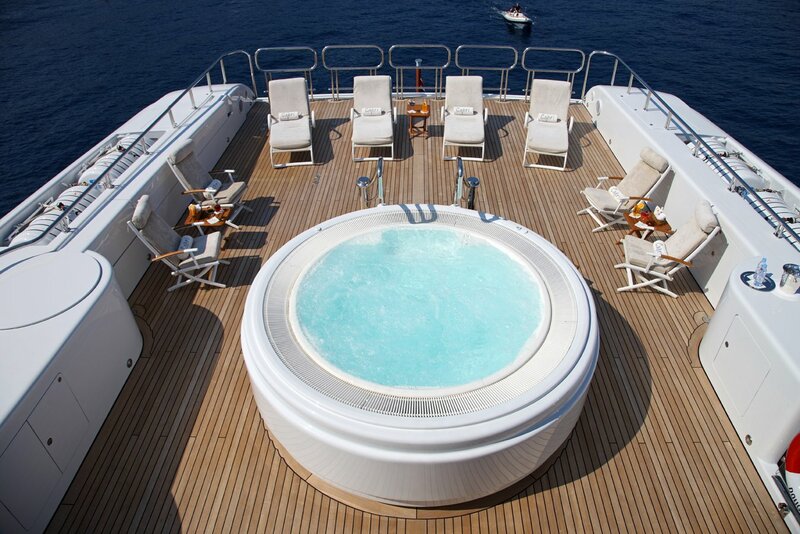 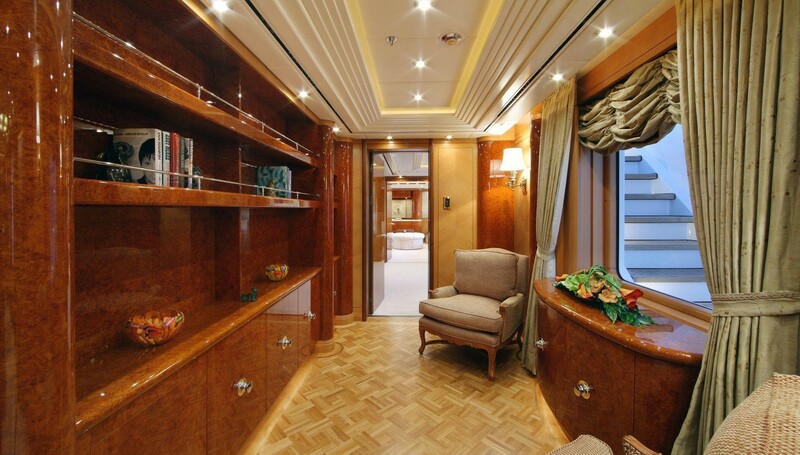 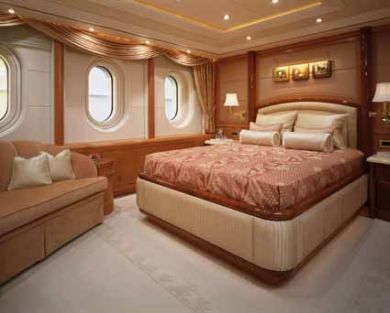 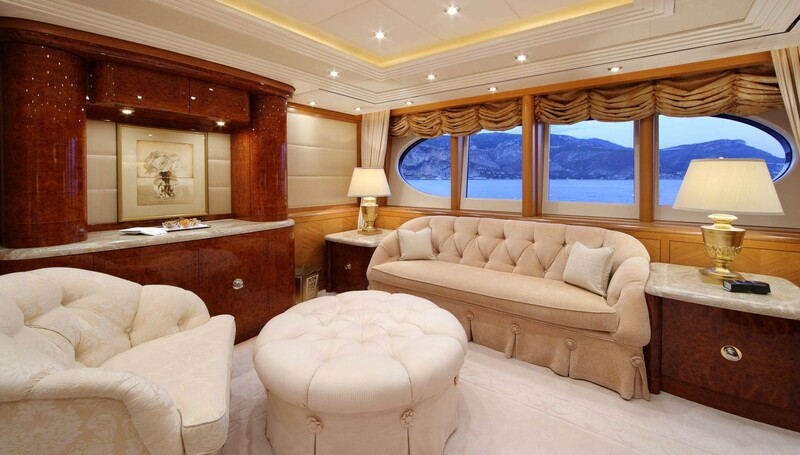 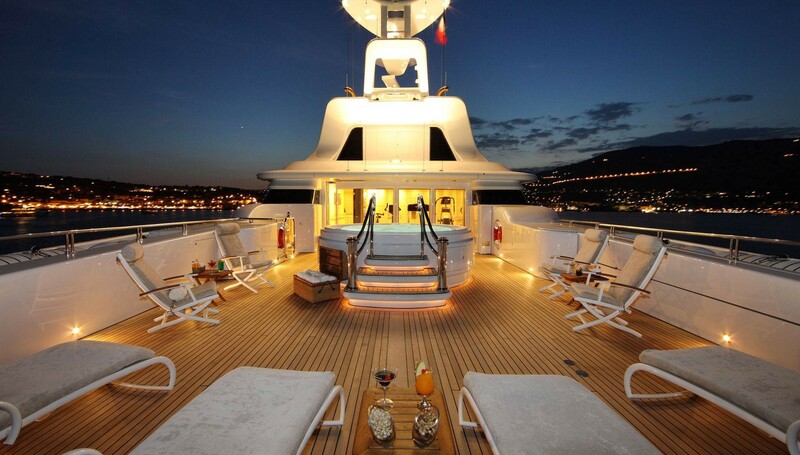 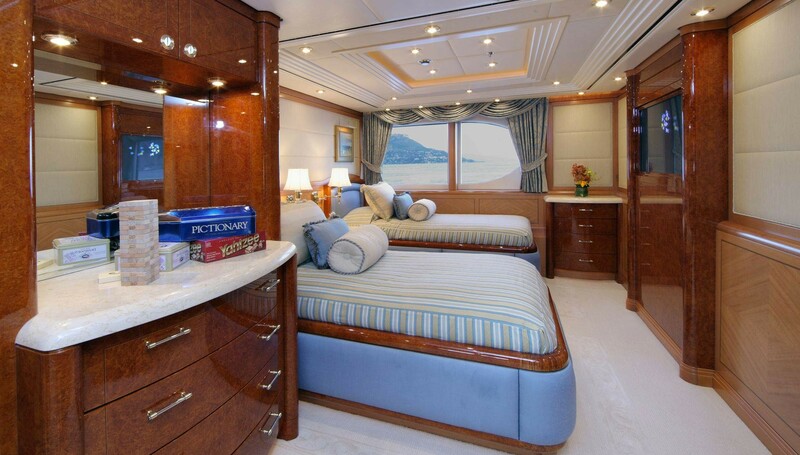 Luxury yacht CAPRI boasts a master suite with king size bed and a Spa Pool bathtub in the his and hers private ensuite. 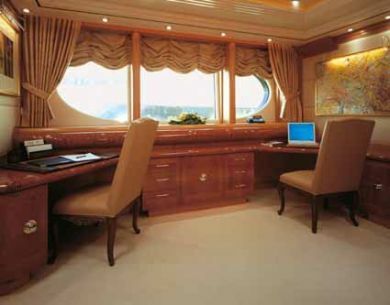 In the suit there is also a private office and a full electronic entertainment system. 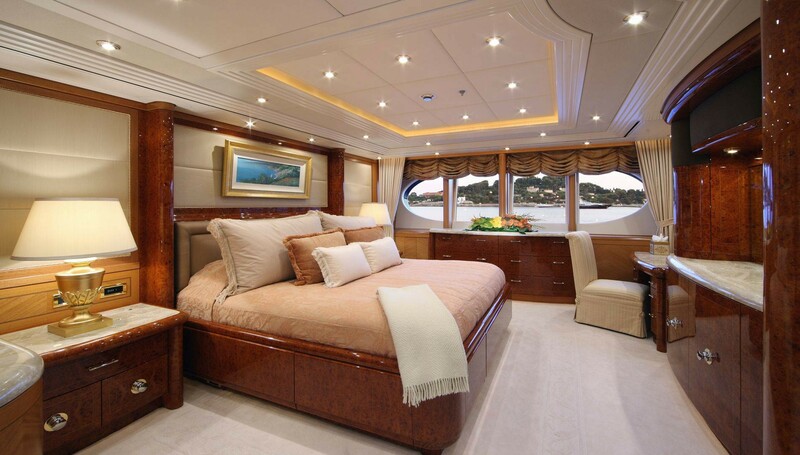 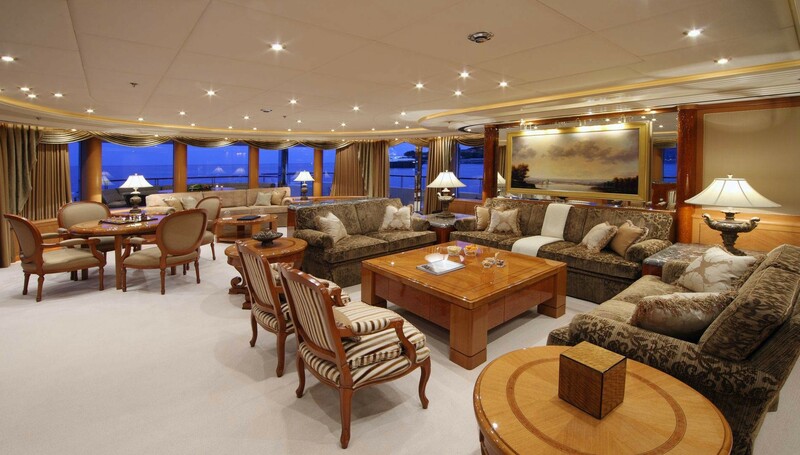 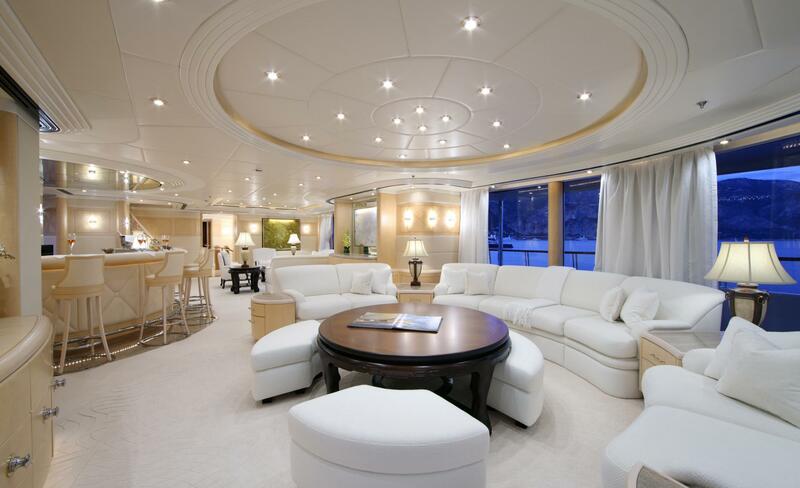 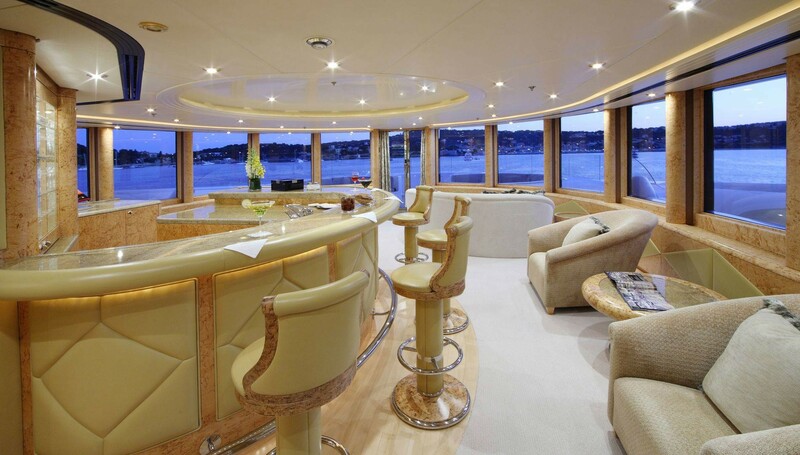 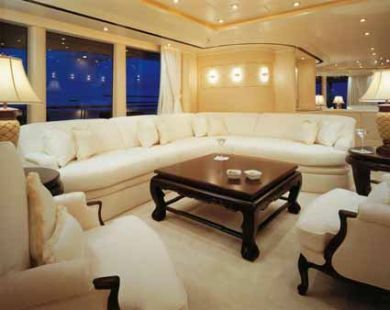 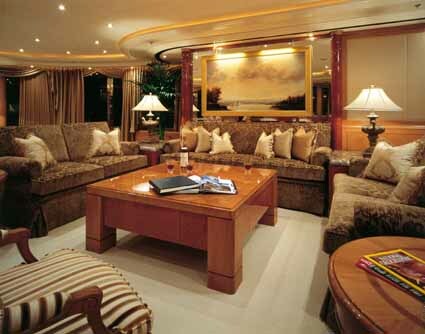 The yacht’s VIP suite has over sized twin beds with a full bath and shower, 48" plasma tv and full entertainment system. 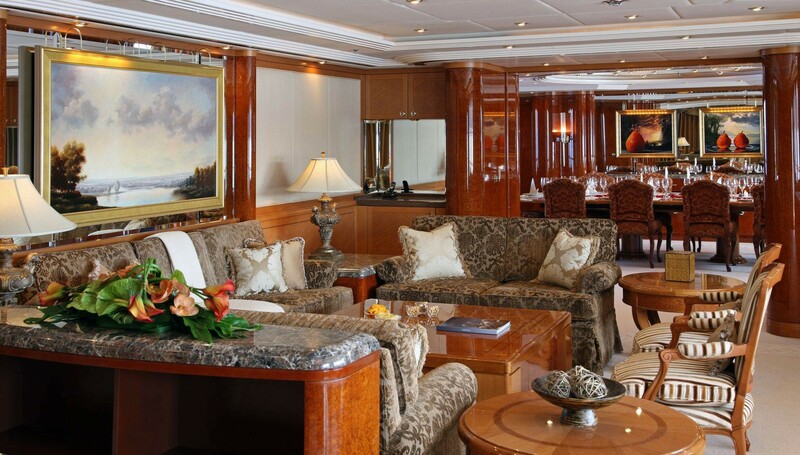 CAPRI also has 4 further staterooms, 3 Queen plus one over sized twin, all with full bath tub, shower, sofa, 48" plasma and full entertainment system. 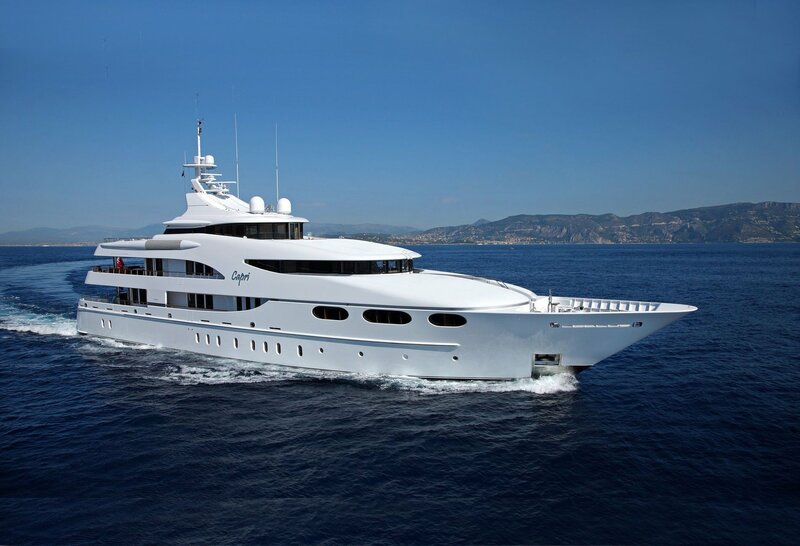 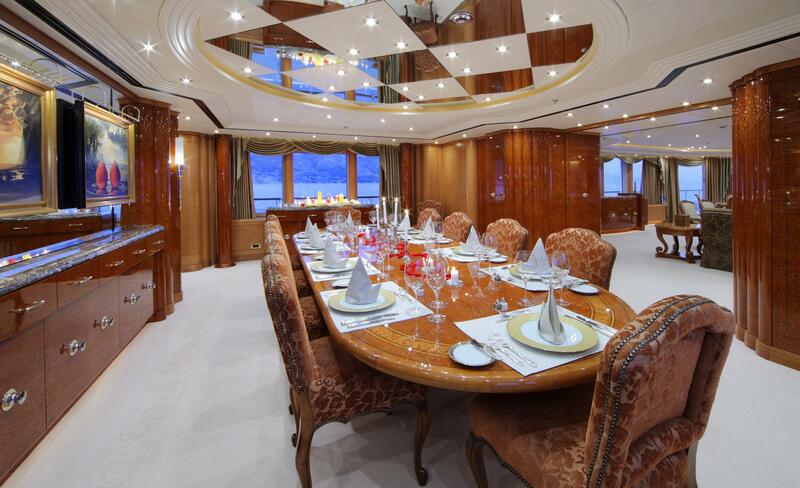 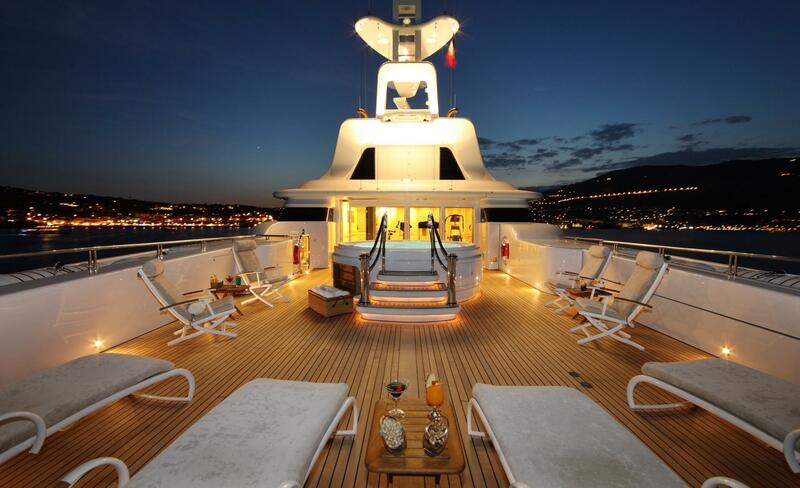 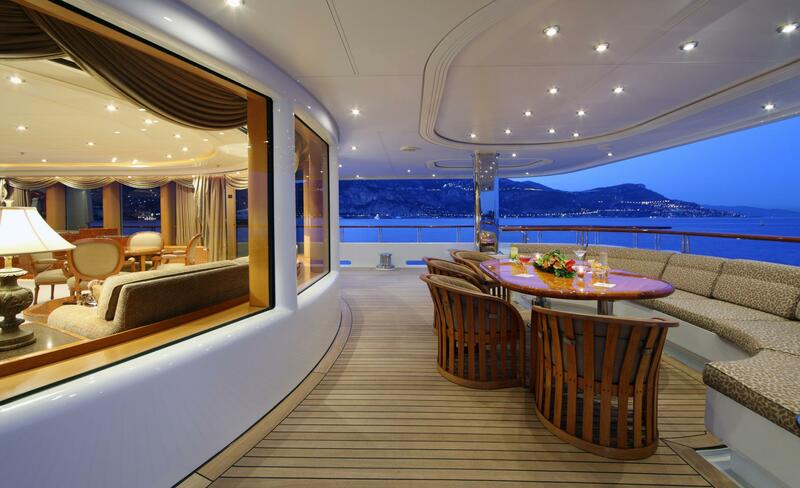 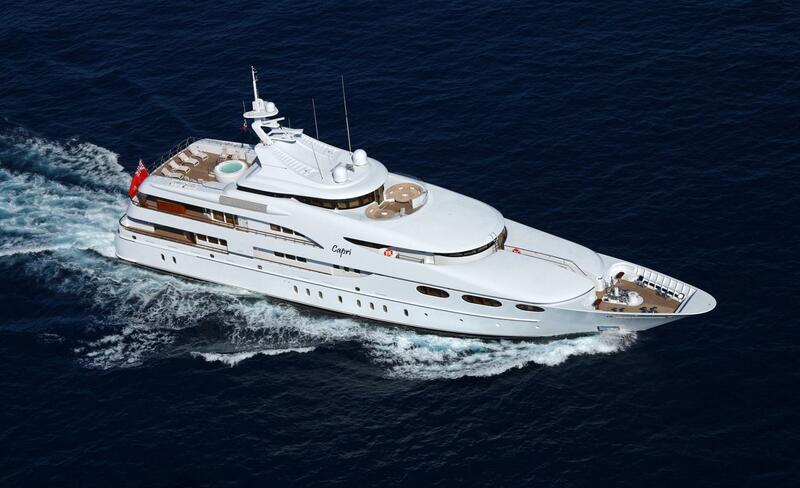 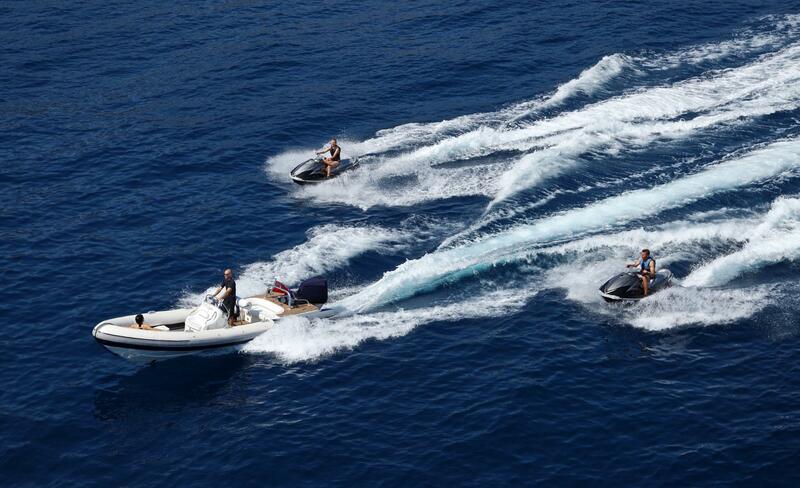 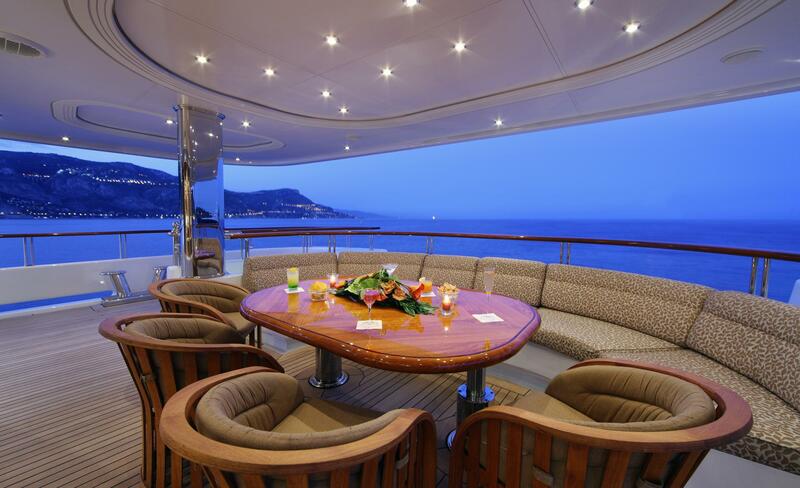 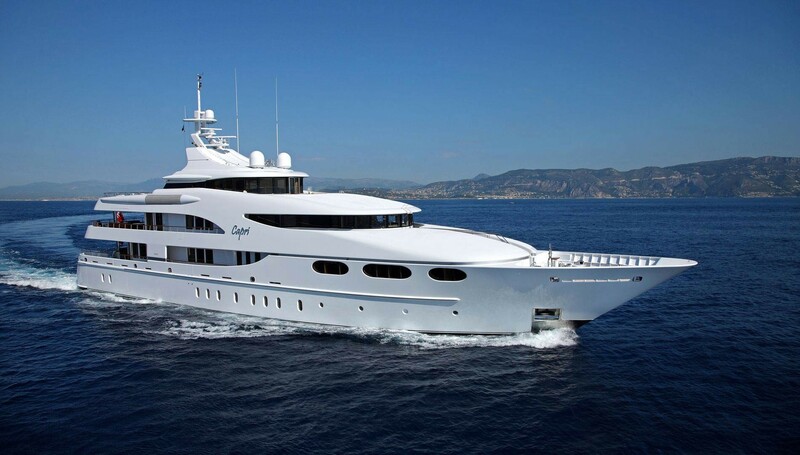 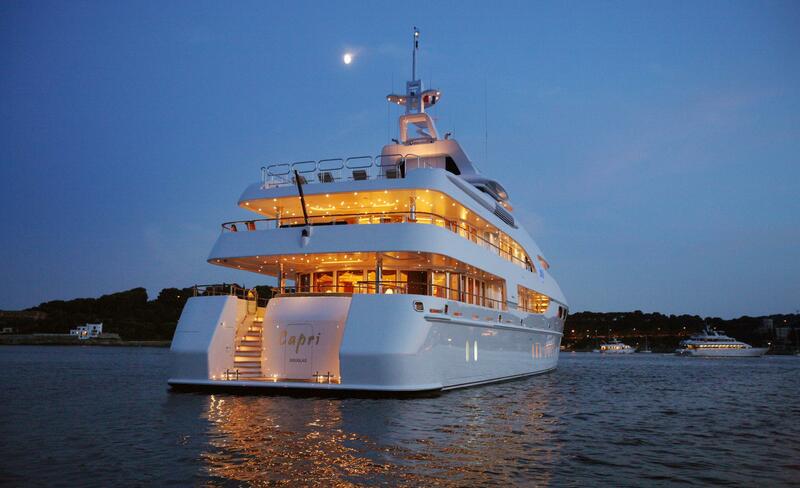 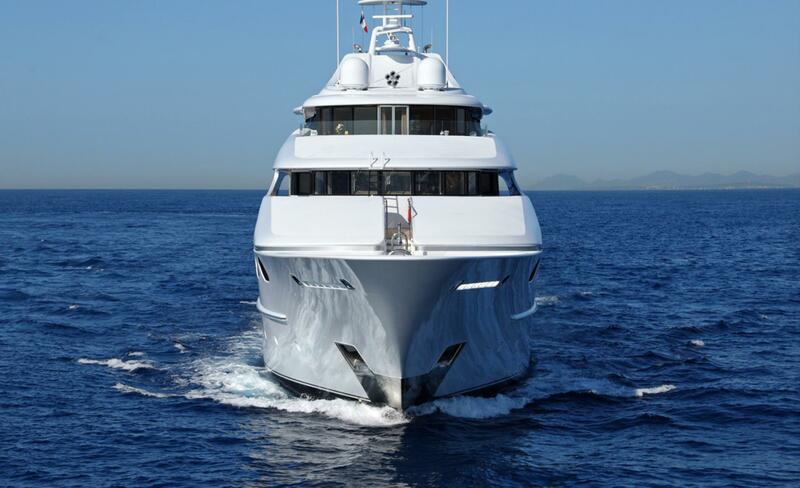 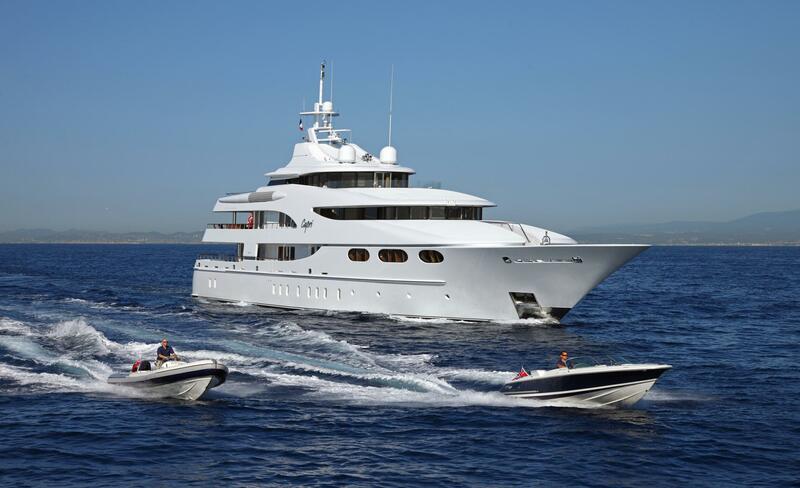 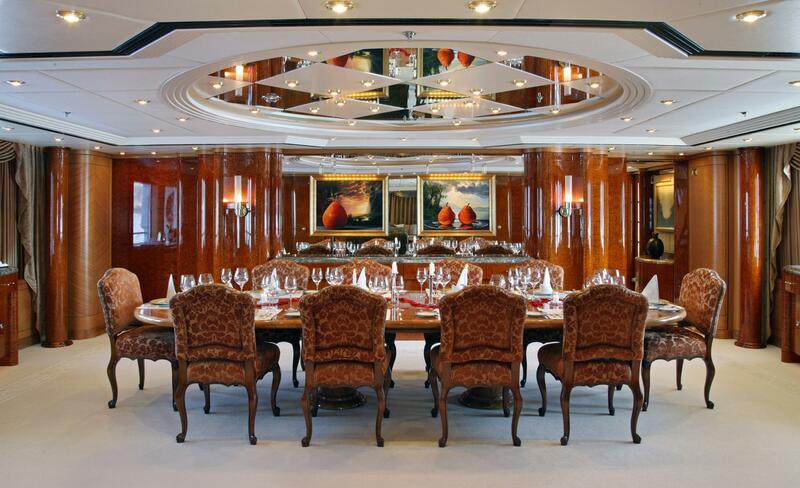 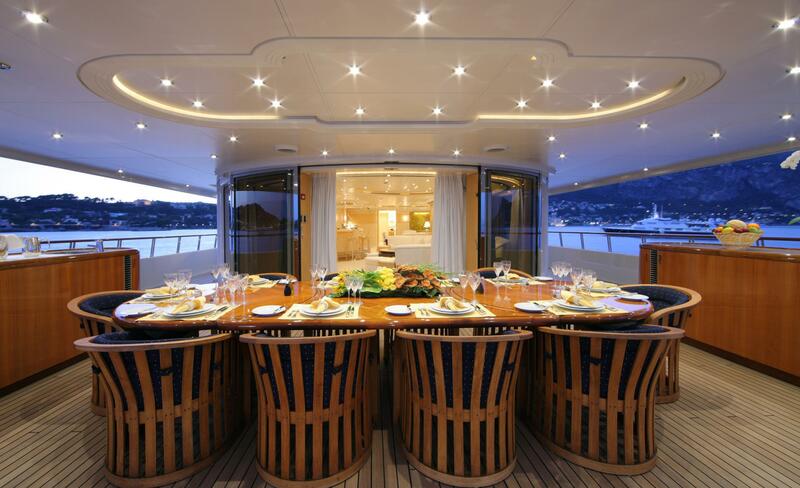 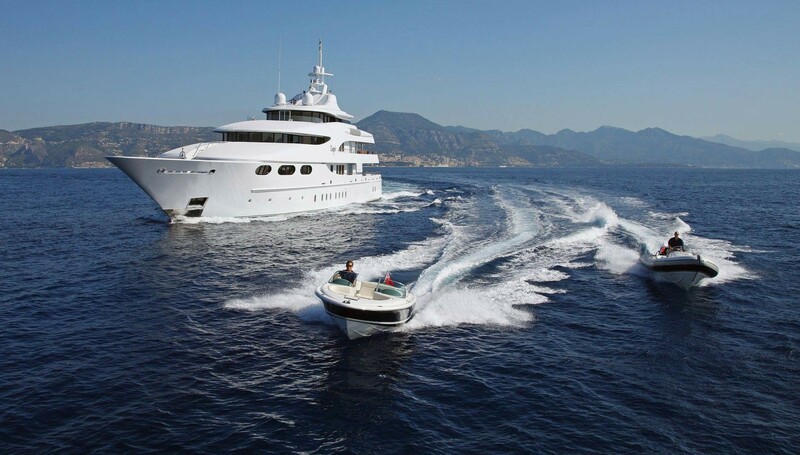 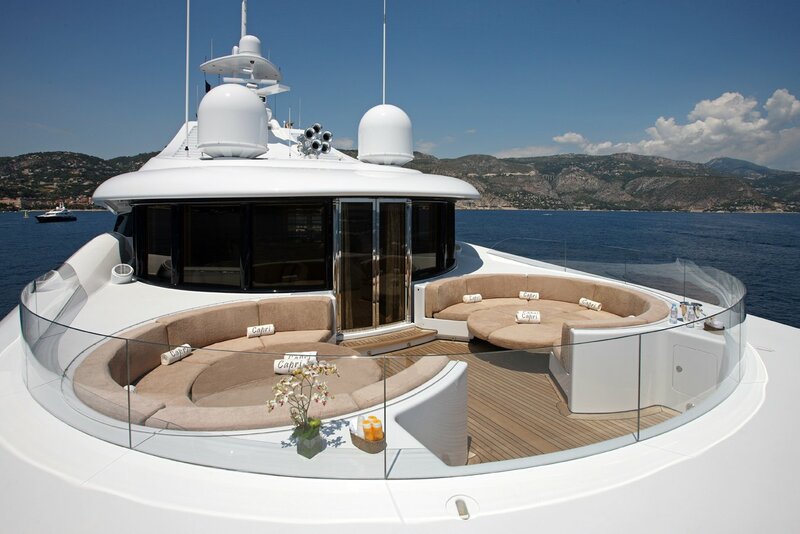 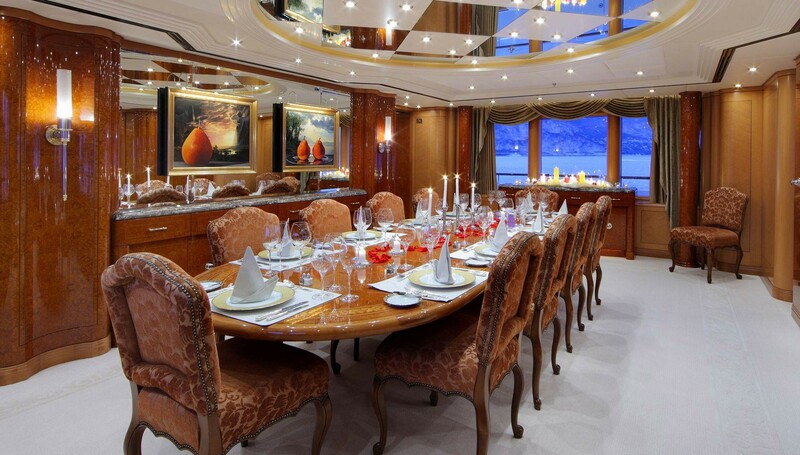 For her guest accommodation luxury motor yacht CAPRI offers 6 cabins for a total of up to 12 guests. 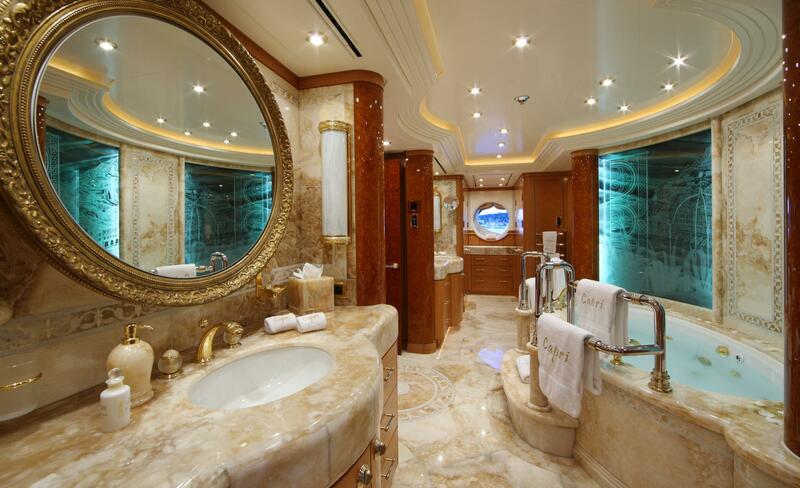 The Lurssen superyacht's maindeck features a full beam owner's suite with an enormous onyx bathroom. 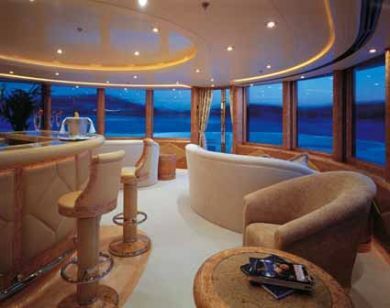 There is a second VIP/Children's cabin with twin extensive inlayes, marble, burled woods, and silk fabrics. 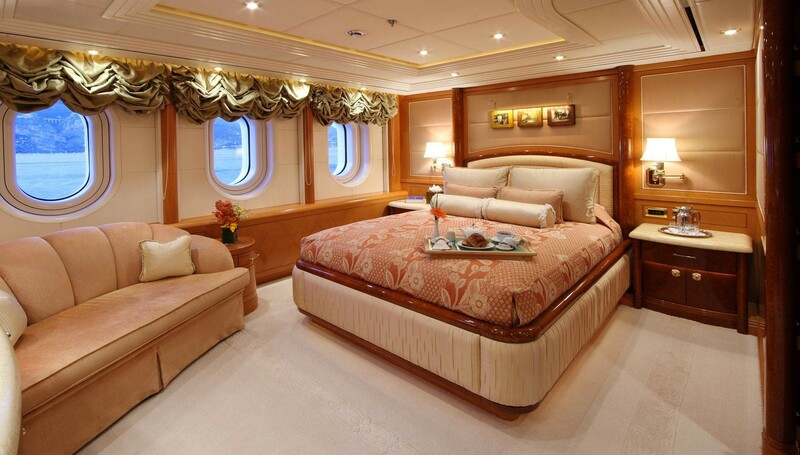 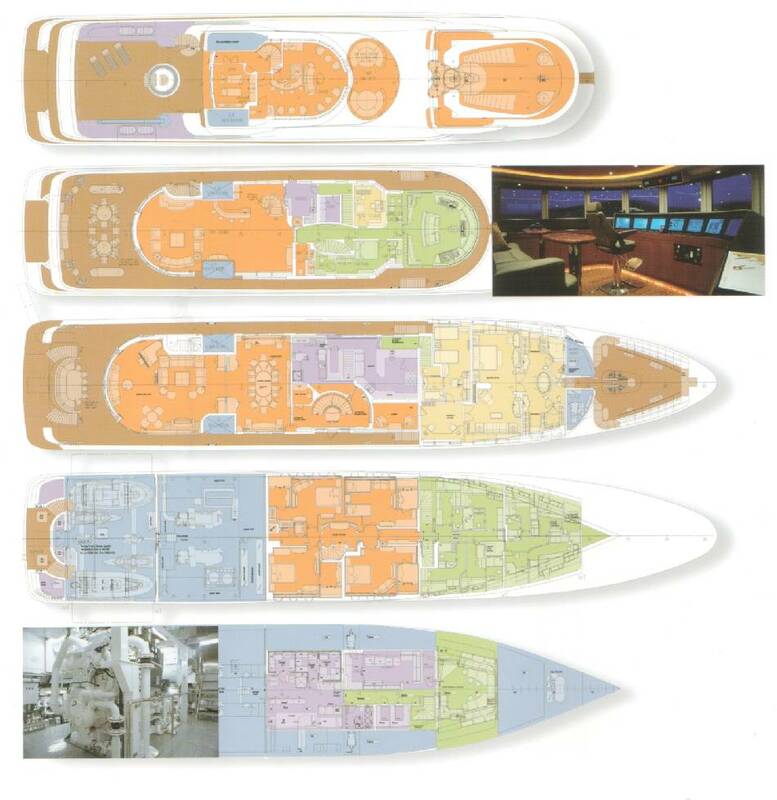 There are an addittional four similar sized spacious guest cabins are located on the lower deck with extra large portholes. 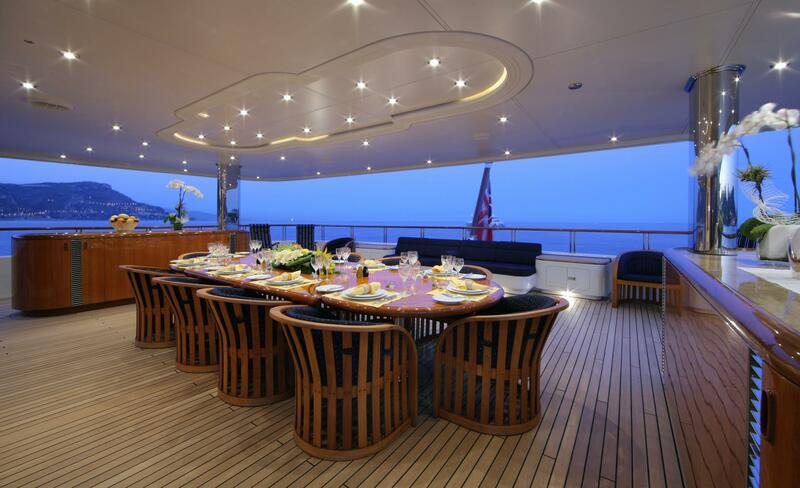 In addition, there is seperate accommodation for thirteen to fifteen crew members on this deck. 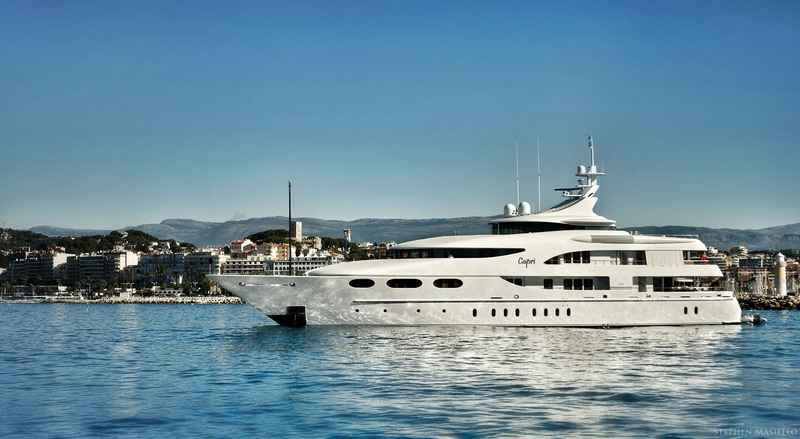 The Lurssen Yacht CAPRI has the following Tenders & Toys: - 22 Ft. Chris Craft tender · 22 Ft. Ribtech tender · 2 Sea-Doo 3 person wave runners · Dive Compressor · Complement Scuba & Fishing Equipment · two Hobie kayaks · two bikes · Fully Equipped Gym Observation Deck · Helicopter Pad · Sound Proof Music Recording Room With State Of The Art Audio/Video Equipment. 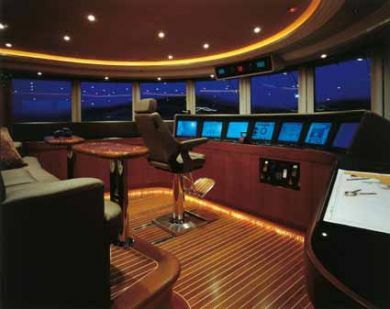 Communications SatCom, Cell Phone, Satellite TV, VCR, DVD. 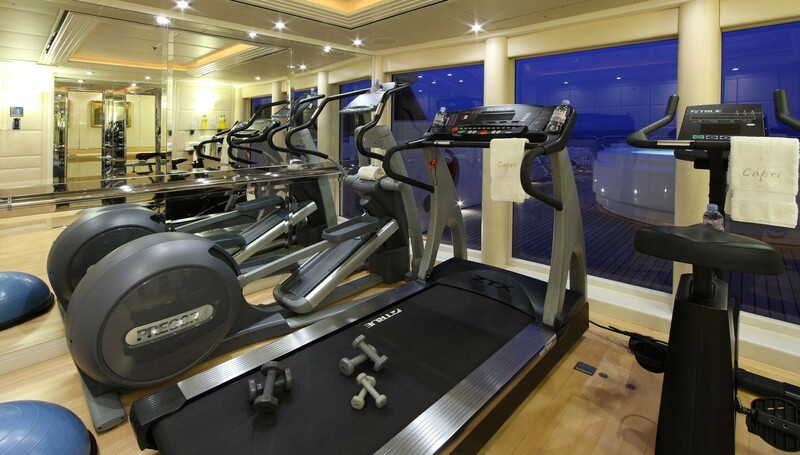 Audio Visual Equipment and Deck Facilities TV, DVD/Stereo System in all rooms.